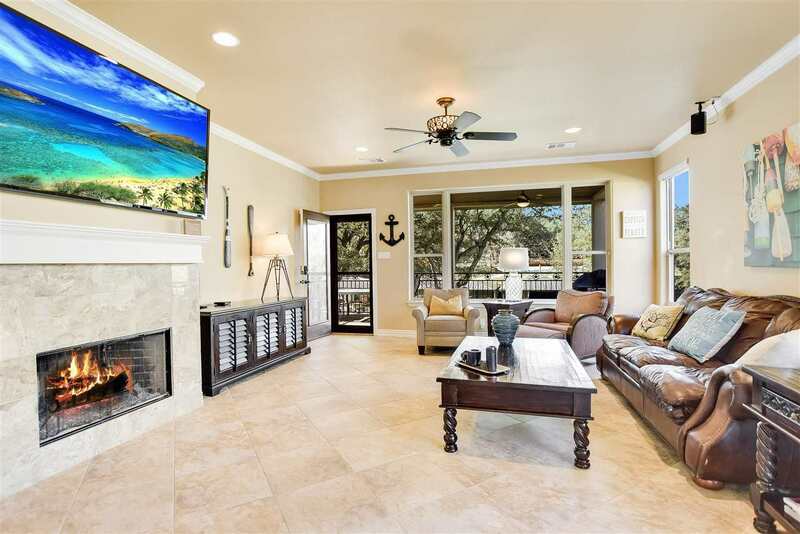 This Waterfront home on Lake LBJ has it all. 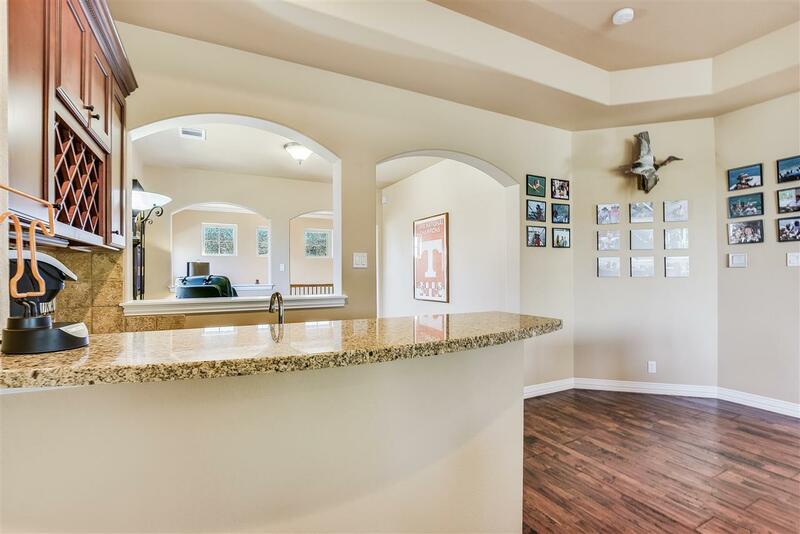 When you enter the front door of this beautiful home your eye travels to the windows & trees overshadowing the large back yard on Lake LBJ. 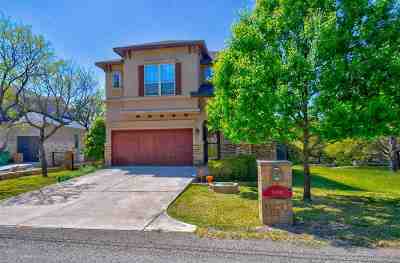 You'll enjoy the open kitchen & living area with fireplace & breakfast bar. 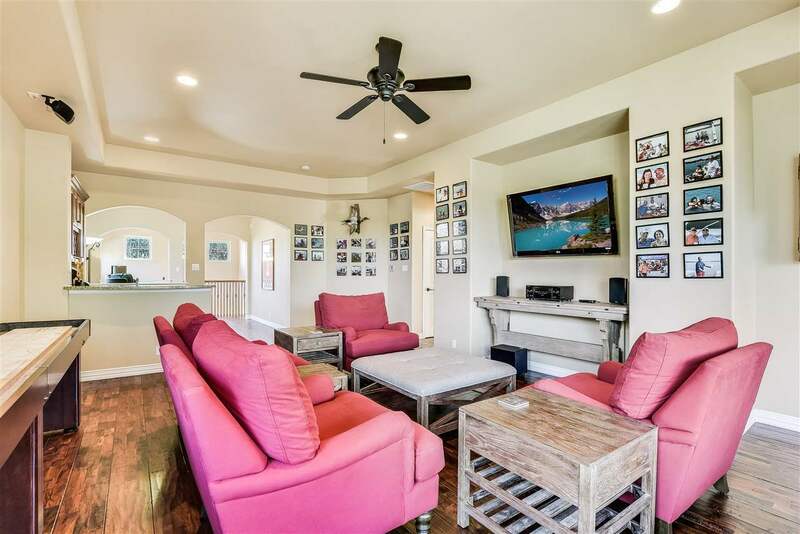 A welcoming space for family and friends. 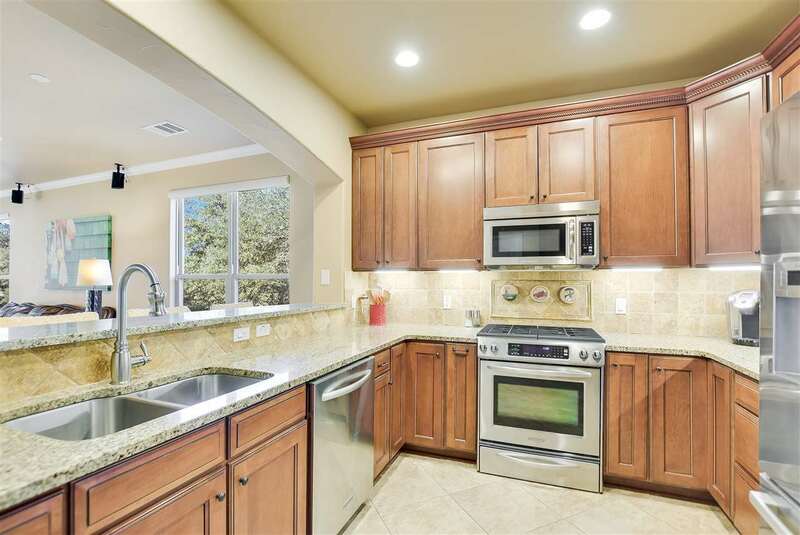 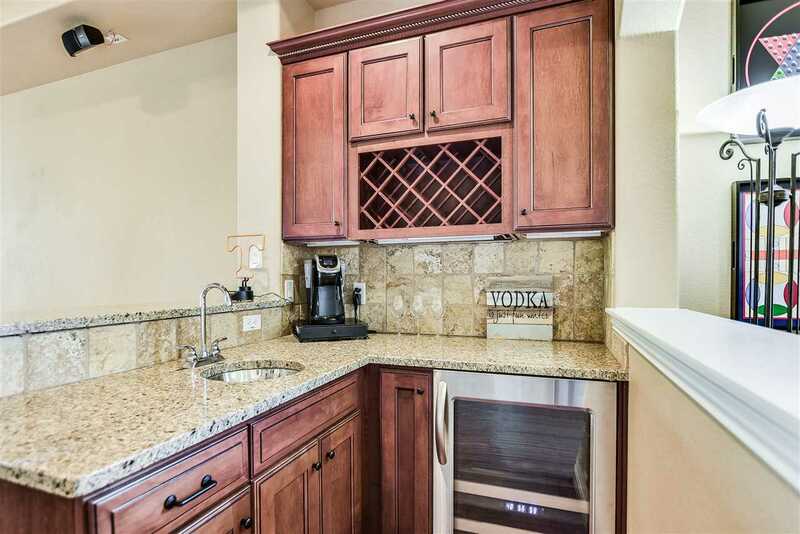 Feel comfortable cooking in the kitchen with stainless-steel appliances & plenty of storage. 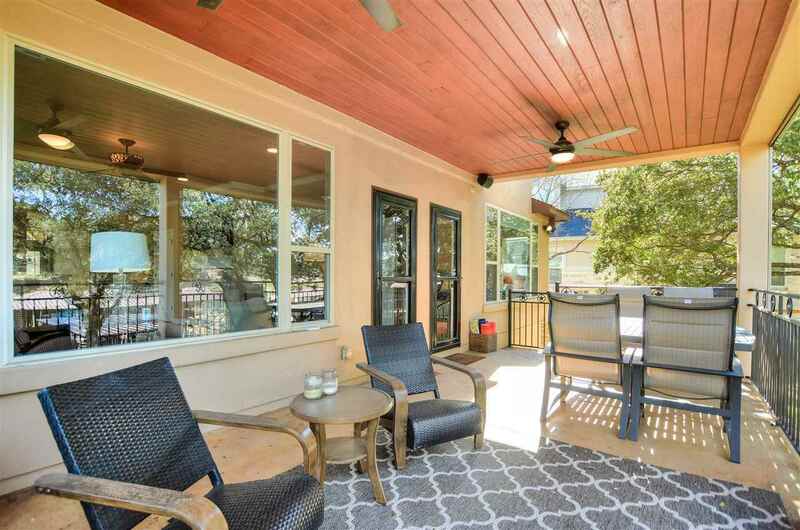 The generous patio for your grill & several seating arrangements. 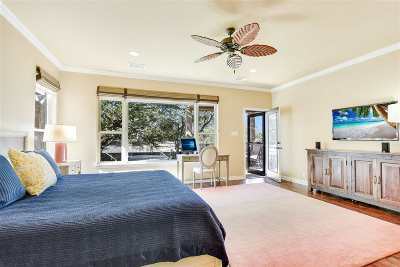 A master suite with stunning hardwood flooring flows off the living area and large enough to become your private domain. 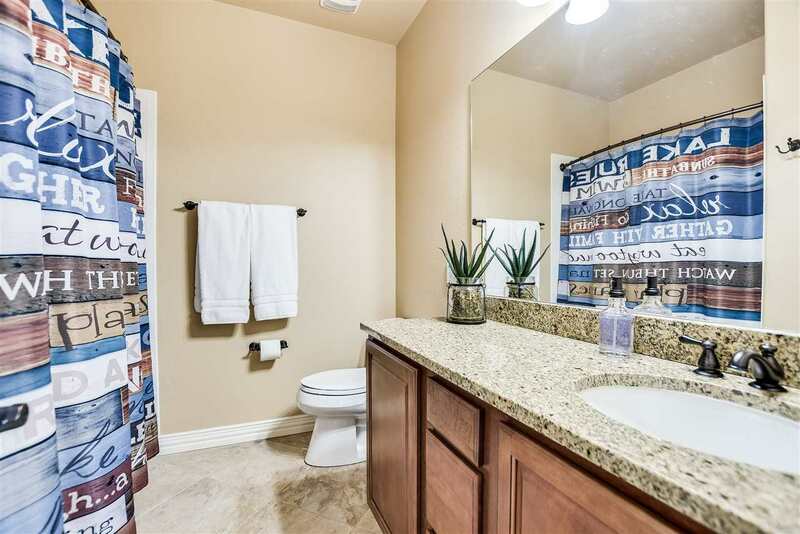 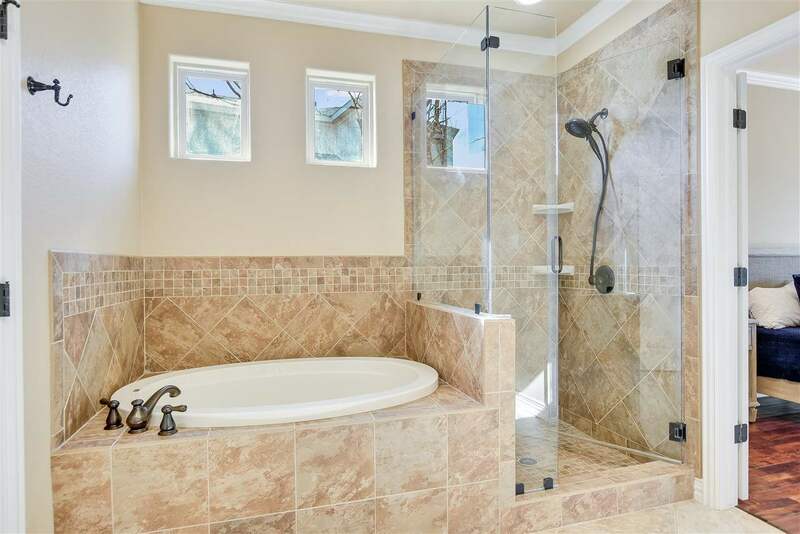 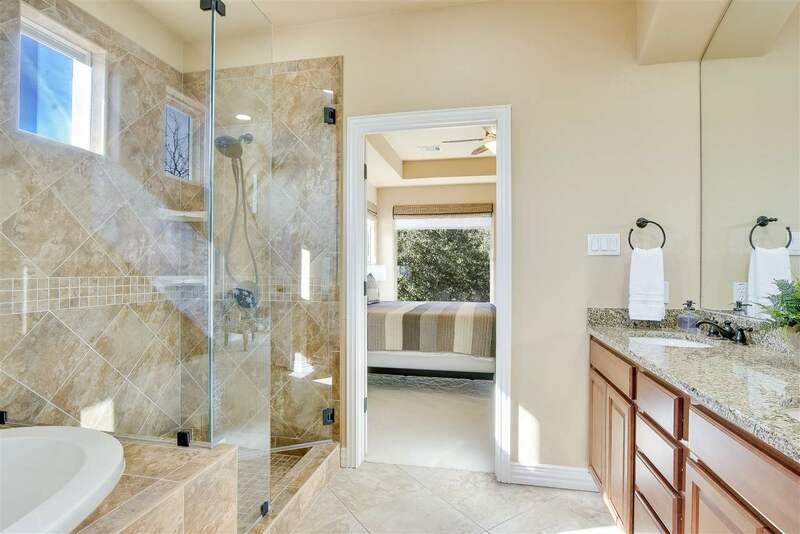 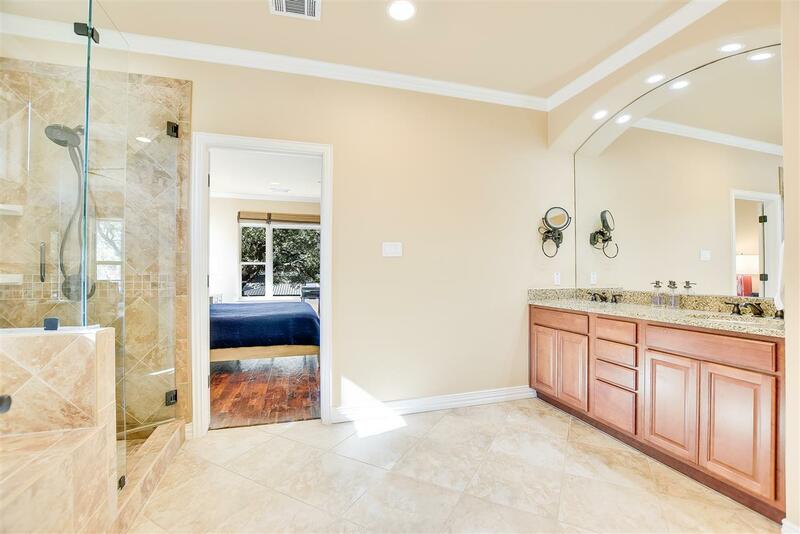 In the master bath you can enjoy the soaking tub or the walk-in glass shower. 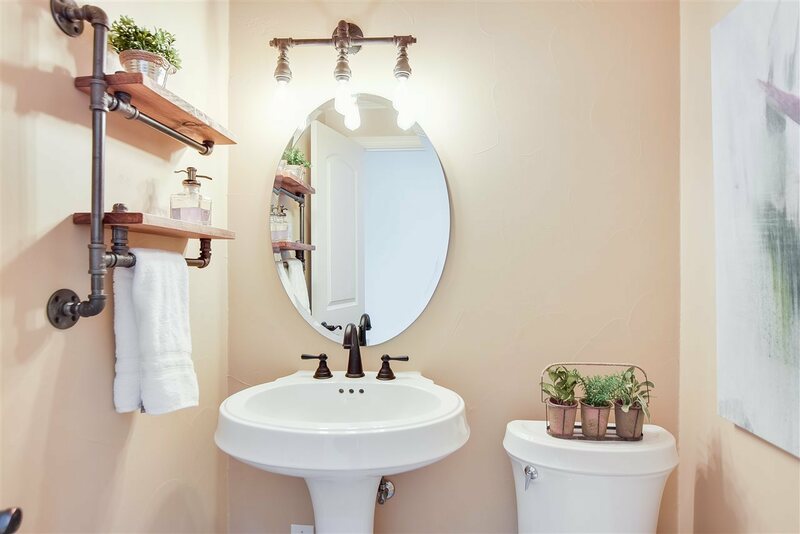 There are double vanities, walk-in closet & lots of storage. 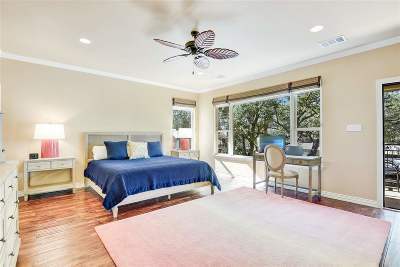 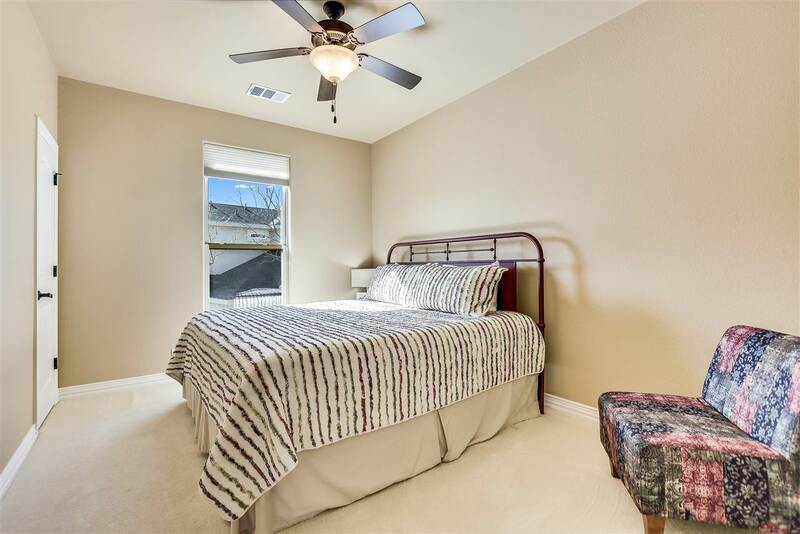 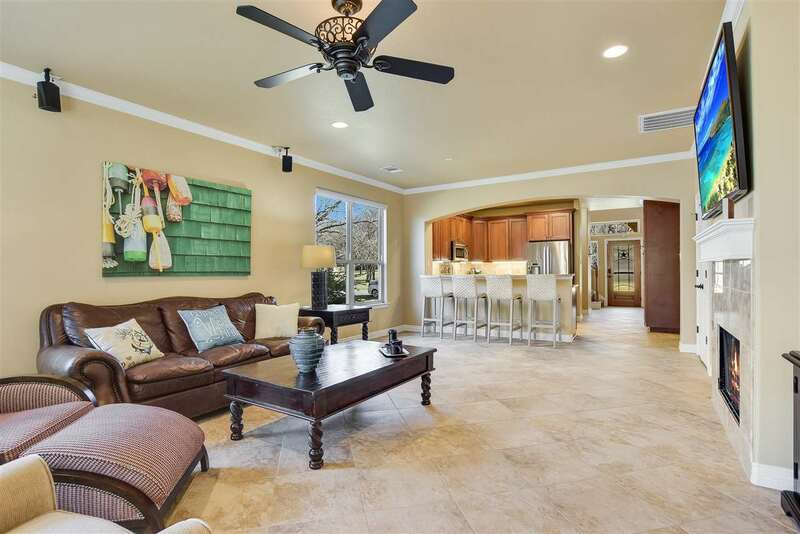 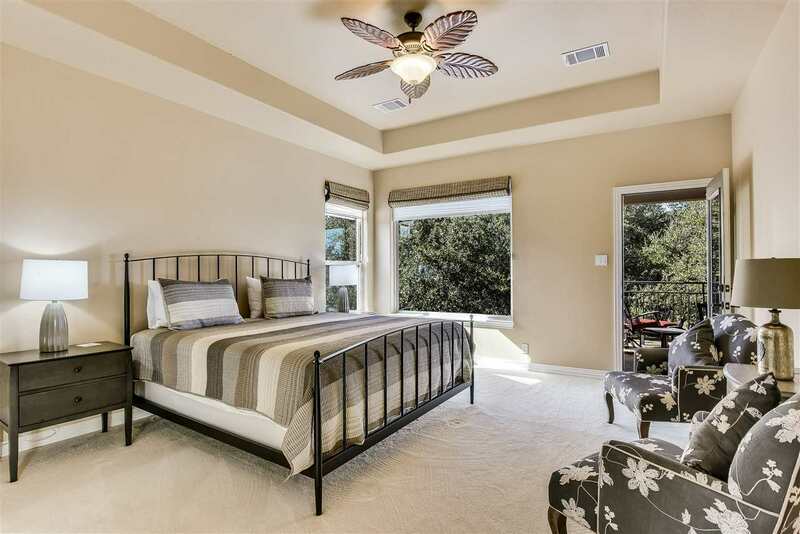 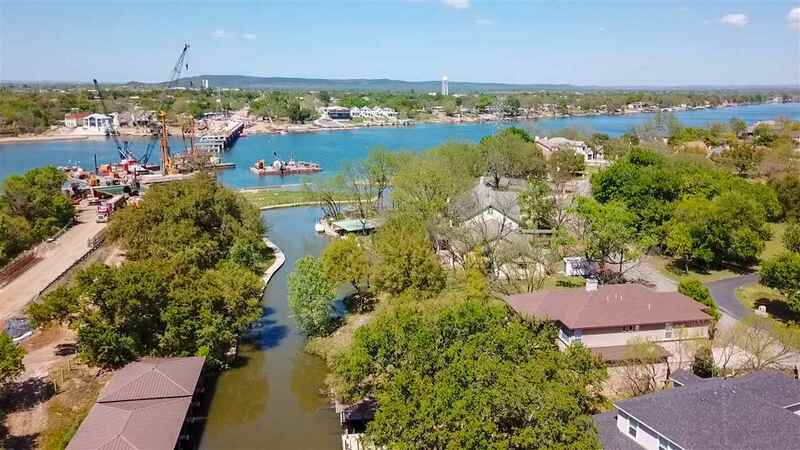 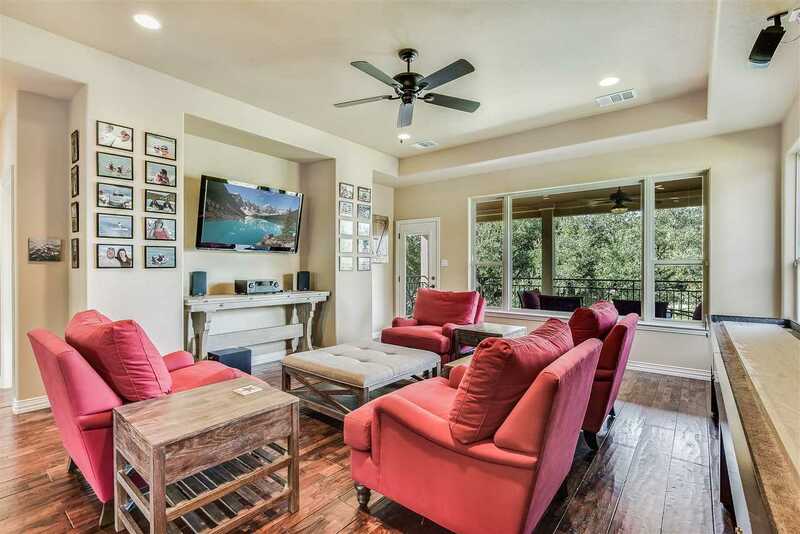 Upstairs you will find 2 guest bedrooms, a full bathroom & another master suite, wet bar, family room and patio overlooking Lake LBJ, a perfect combination for entertaining. 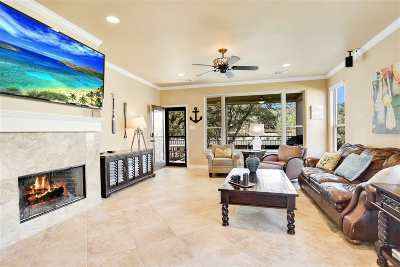 Serve refreshments from the wet bar while guests are watching the big screen or playing shuffleboard. 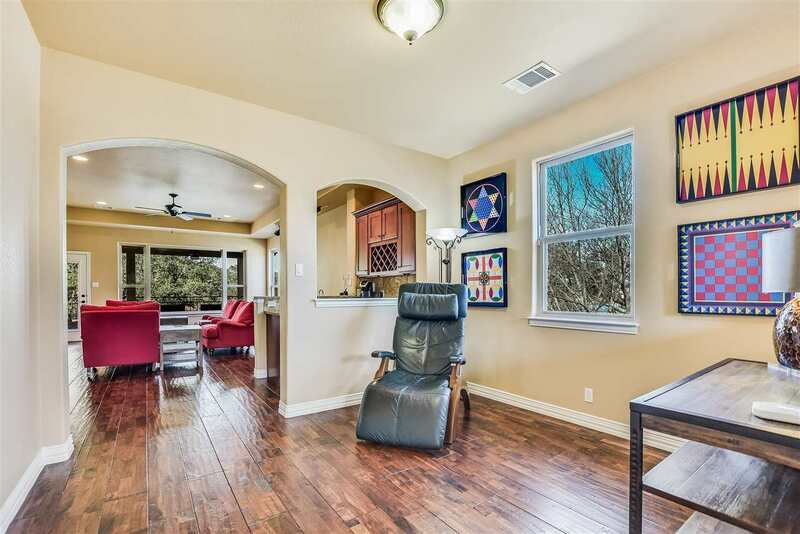 There is a sitting room at the top of the stairs perfect for an office. 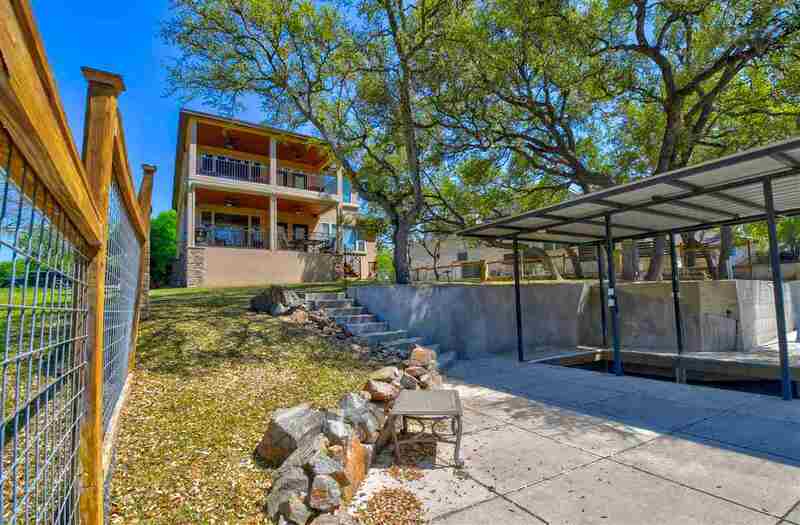 The fenced in large back yard gently slopes down to carefully placed rocks that add to the landscape. 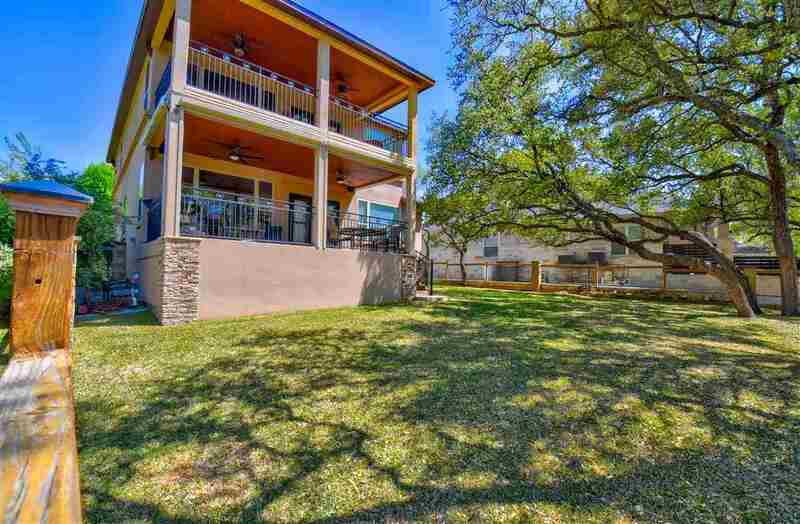 Concrete steps take you down to a patio at water's edge and to the boat dock with an electric lift. 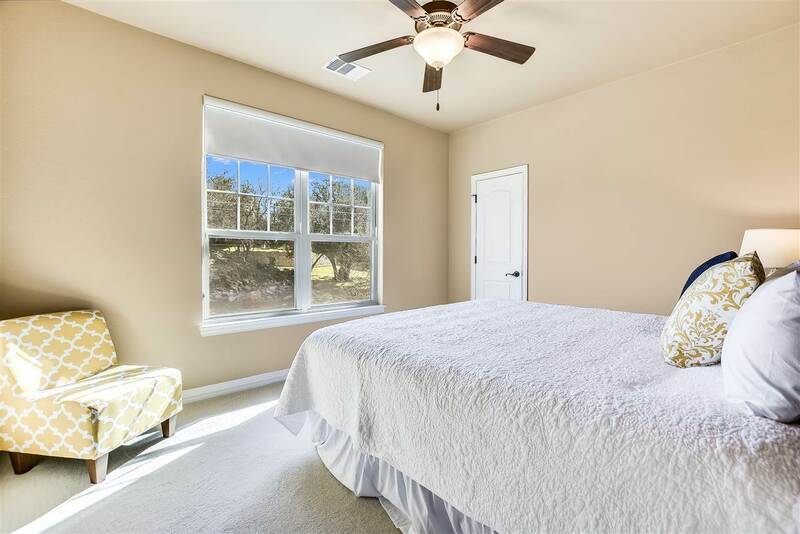 There are large windows in every room that allows for the natural light to showcase this pristine home. 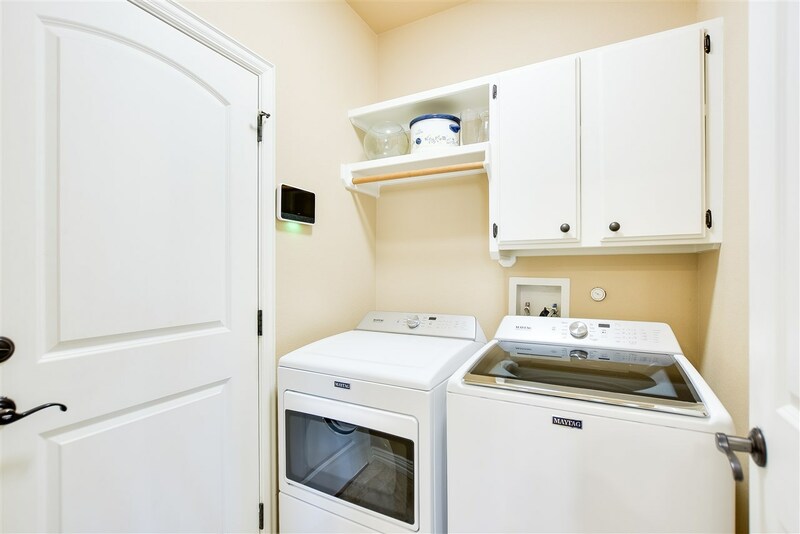 HVAC units are less than year old. An ideal home for full-time living or a wonderful getaway for family and friends.